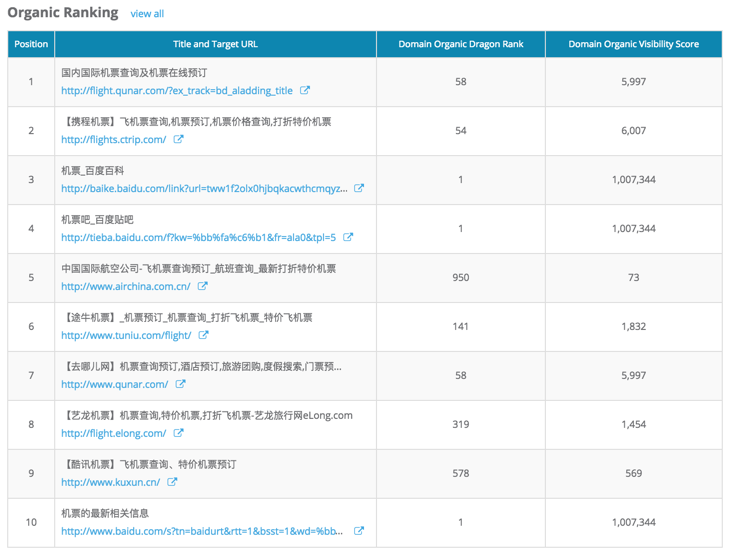 If you are getting into this page for the first time, you can read this article to learn the basics of Dragon Metrics' Research Mode. 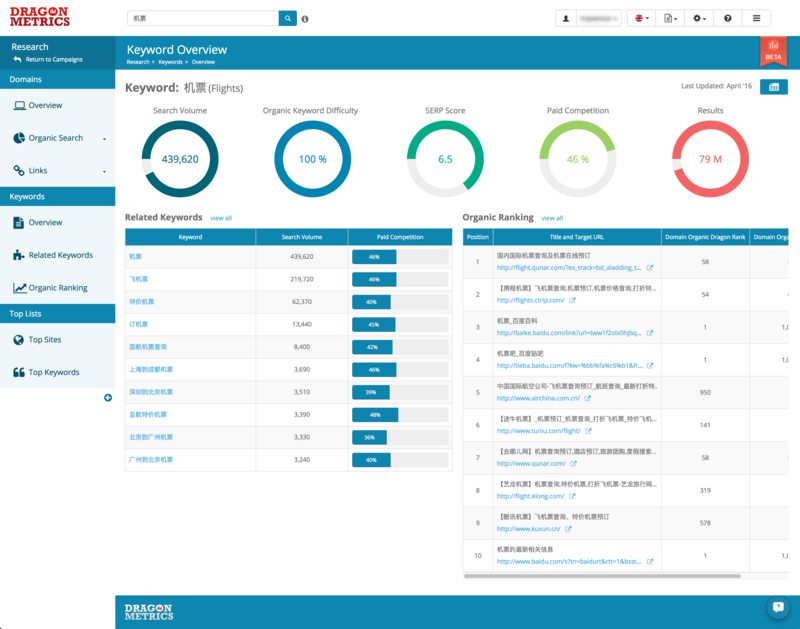 In this page entering a domain will take you to the Domain Research portion of this mode, and if you type in a keyword, you will get to the keyword portion of this mode. 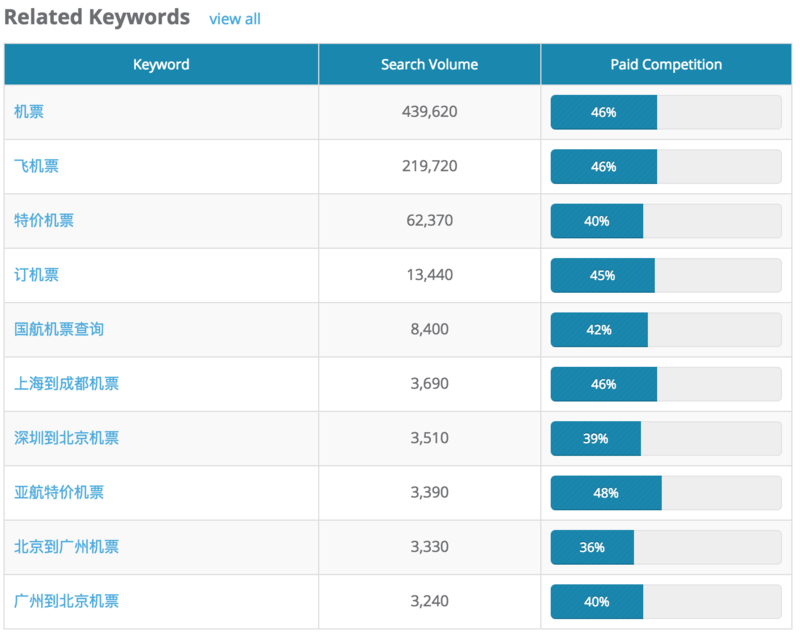 And the Keyword Research Overview page is the main page of the keyword portion, which will give you various data about this keyword on Baidu.